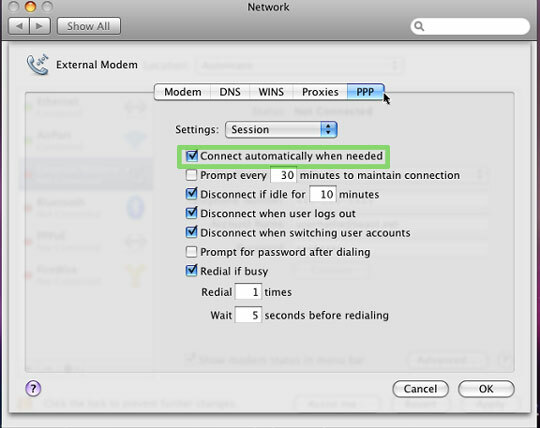 Select Internal or External Modem on the left menu. 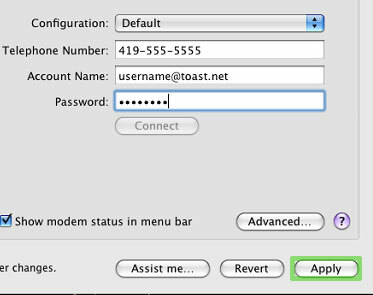 Fill in your correct TOAST.net phone number, your TOAST.net Username, and your TOAST.net password. 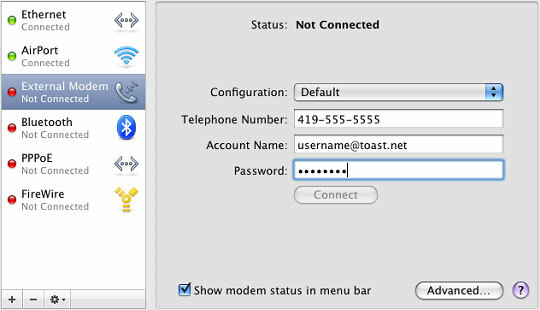 Be sure your TOAST.net Username ends with @toast.net. Click the Advanced button when complete. Click the PPP tab, and then make sure Connect automatically when needed is check-marked. Click OK when complete. 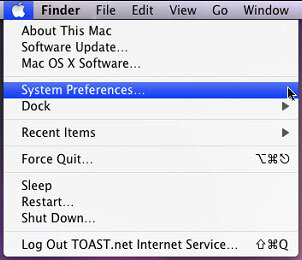 To connect to TOAST.net, simply open your web browser (i.e.- Safari). Be sure to set http://www.toast.net/start as your home page. The TOAST.net Web Accelerator can help web pages download faster over a dial-up connection. Click Here to install.